Abstract: Take the 'next step' in health assessment! 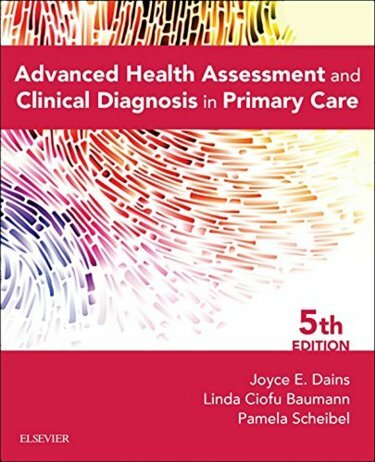 Advanced Health Assessment and Clinical Diagnosis in Primary Care, 5th Edition goes beyond basic history and physical examination to help you master the diagnostic reasoning process. You'll develop this key skill by following assessment guidelines that focus on a specific complaint rather than beginning with a previously established diagnosis or disease entity. 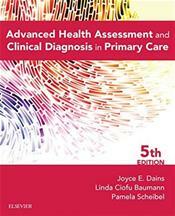 Written by advanced practice nursing experts Joyce Dains, Linda Baumann, and Pamela Scheibel, this edition includes new chapters on evidence-based preventive health screening and on heartburn and indigestion, along with a new full-color design. Master the differential diagnosis process outlined in this book, and you'll be able to accurately diagnose the majority of patients seen in today's primary care settings. ... NEW Evidence-Based Preventive Health Screening chapter helps you screen for common asymptomatic conditions and promote wellness. NEW Heartburn and Indigestion chapter addresses this common condition and includes important differential diagnoses such as myocardial infarction and cancer of the esophagus. NEW! Separate chapters on limb pain divide the topic by lower extremities and upper extremities, offering more focused, easy-to-locate coverage. NEW! Information on screening for abuse and sexual assault helps in identifying patients who might need additional support or intervention. NEW! Updated information on psychiatric/mental health problems reflects the latest changes in practice as well as changes to the DSM. NEW! More than 20 NEW illustrations enhance content and a full-color design makes topics easier to find.